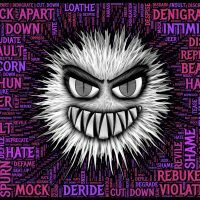 (Frank Hawkins – American Thinker) The American Left is stoking hatred and it’s tearing us apart. Our media is guilty of not only of failing to shame those responsible, in many cases they egg them on, giving them a platform. The volume of irrational hatred spewing into our ether is extremely unhealthy, even dangerous for our republic and the broader American culture. To be sure, there has been excessive rhetoric from the man who could well go down as the most accomplished and successful president in our history at the rate his achievements mount. But President Trump’s willingness to verbally punch back at his political enemies, sometimes crudely, pales in comparison to the level of hate being spewed out by leftists. Our country is 242 years old. One has to wonder how it can survive much longer as the decibels of hate, particularly from the left, continue to rise almost hysterically. We’ve already had one civil war. That one cost over 600,000 lives. We don’t need another one.